Our plumbing and gas courses teach how to install, repair and maintain boilers an essential tool as can be seen below it is something every homeowner has and may breakdown from time to time. A recent npower survey has revealed that the British public find a boiler breakdown the most disruptive part of day to day life. The research found that 37% of homeowners feel that a boiler breakdown would be the biggest inconvenience to their lives. This compares to 18% of people who would hate having their car clamped, 13% who loathe losing their keys and a mere 6% who think getting stuck in traffic is their idea of hell. This is probably set to rise as the cold weather is set to make a return in the coming weeks. npower also noted that even with the boiler being the most expensive household item, many people, est. 59%, do not have any sort of boiler cover. This leaves the unlucky homeowner to take cold showers and boil water in the kettle or on the stove. Homeowners should also bear in mind that more and more rogue traders are taking to the streets offering home improvements as the winter sets in. The Office of Fair Trading (OFT) has joined forces with Age UK to warn Britons to beware of the unscrupulous doorstep traders. This is especially a concern amongst the elderly who when they have a problem are more likely to want it sorted quickly. This is coupled with peoples lack of knowledge on what to do should anything happen to their boiler or plumbing work. Advice line Consumer Direct said there were more than 5,300 complaints in 2009 about traders offering home maintenance work on the doorstep a rise of 16% from last year. 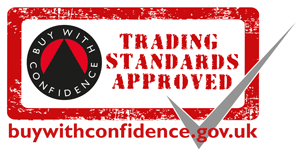 One particular method the rogue traders use is that they claim to be part of an energy-saving scheme offering discounted rates, but charge high prices for shoddy or non-existent work. As such The OFT advises people; not to agree to on-the-spot house repairs, sign anything straight away with a person at the door and be wary of special offers or warnings that a house is unsafe. They recommend home improvement decisions to not be made as an impulse buy. People can save themselves money and get the job done professionally by speaking to someone they trust before making make a decision. Our courses give you the opportunity to become gas safe registered and become a trusted worker unlike these rogue traders.